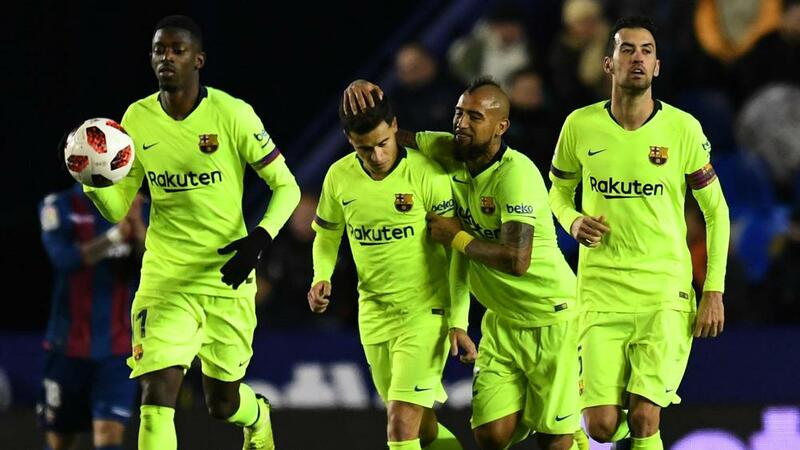 Ernesto Valverde urged Philippe Coutinho to continue fighting for his position following the playmaker's goal-scoring return to Barcelona's starting XI. "When Dembele wasn't playing, everyone was asking me about him," Valverde told reporters. "Now Dembele's playing and Coutinho isn't and the reverse is happening. When you do not play and you are not happy, you have to fight to change the situation. Today was a match for that. "I picked the best team I thought we could pick," the Spaniard said. "It served us to evaluate players in some tough moments, like in a LaLiga game. I know it's a risk, but you have to take risks a lot of the time."